Our low prices have caused our inventory for this item to run low. You can still lock-in today’s sale price and order today. We will ship you the item as soon as our inventory increases, which should be on or after April 27, 2019. Just add it to your cart and proceed normally through the checkout process. In a chic Modern Romance design, Kate Aspen's Personalized White Matchboxes are personalized wedding favors that are great as standalone favors, or you can gift alongside a candle favor. 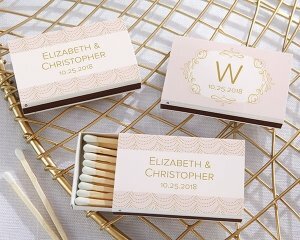 The Personalized White Matchboxes come with approximately 20 match sticks in each box, and show your names and event date on the Modern Romance sticker. 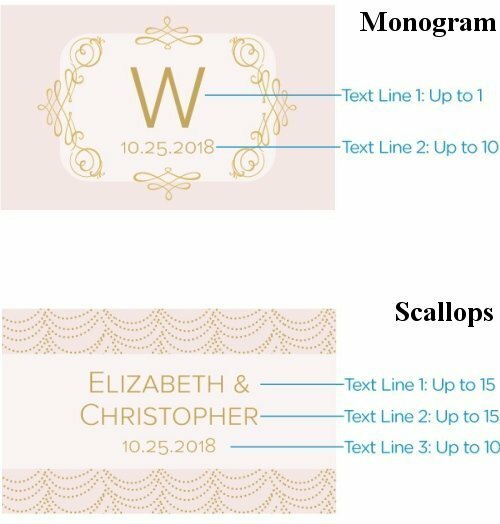 These useful wedding souvenirs come in sets of 50 to suit events of all sizes!